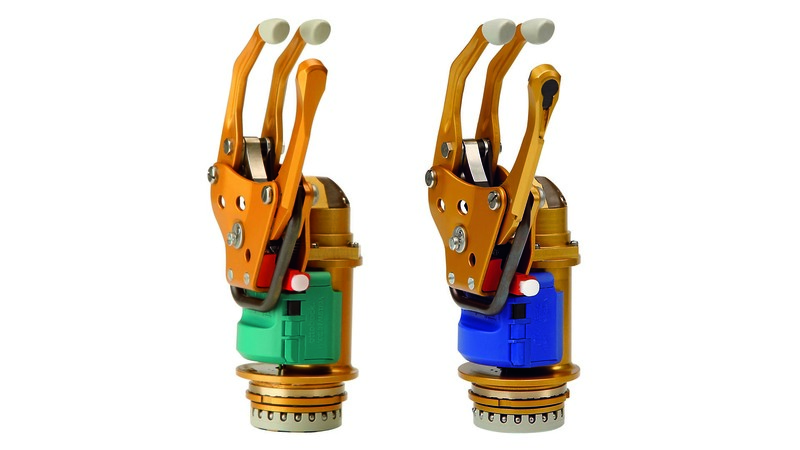 Gloves for a prosthesis fulfil two important functions: For many users, they are a crucial element and the first thing others notice when they see the prosthesis. 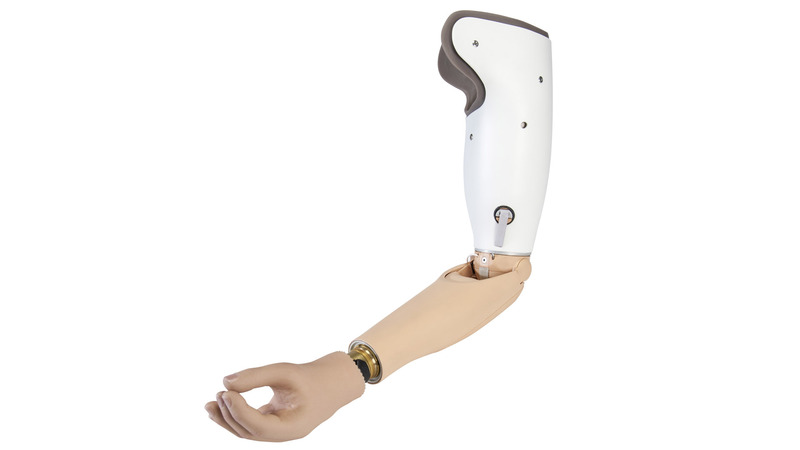 Their natural appearance makes an important contribution towards the harmonious integration of the prosthesis into the overall body image. The glove also protects the mechanics of the prosthetic hand against moisture, dirt and dust. Ottobock prosthetic gloves made of PVC are highly robust and resistant to tearing. Thanks to a large selection of colours, they can be chosen to meet individual requirements and their natural appearance is convincing. 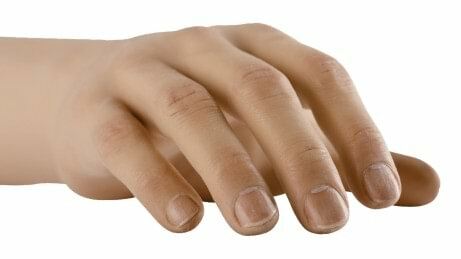 The shape of the fingers and hand correspond to the natural anatomy of the human hand. Even small wrinkles are replicated in fabricating the prosthesis gloves. The material has a multilayer structure. Coloured fibres inside imitate the natural vein structure of the human hand. Hand-drawn details such as the colour and shape of the fingernails are deceptively genuine replicas based on the natural model. 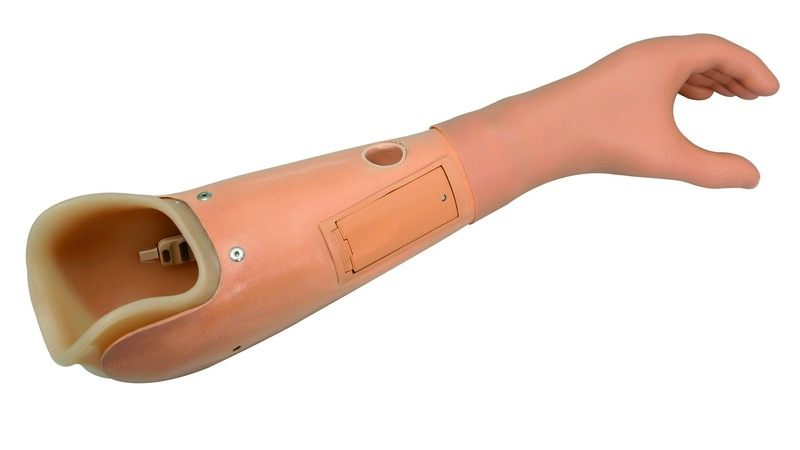 Your prosthetic hand comes into contact with a lot of things in the course of a day. PVC material features good mechanical strength and durability. It is robust and does not tear easily. A special finish makes it considerably more soil-resistant as well. You can easily clean your glove daily with a special cleaner. You want your prosthesis glove to also duplicate the appearance of your hand as closely as possible? Coloured fibres inside imitate the natural vein structure of the human hand, while the multilayer structure creates a depth effect that makes the glove appear three-dimensional. 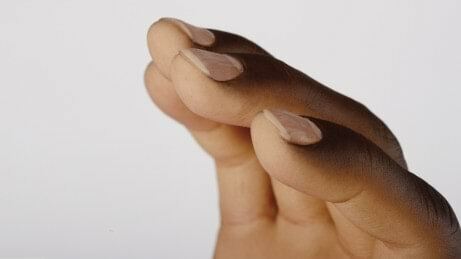 Fingernails, blood vessels, knuckles and small wrinkles are coloured by hand for a deceptively genuine look. A translucent glove is available for all users of a Michelangelo Hand who want to self-confidently present their modern prosthesis. It makes the fascinating design of the Michelangelo Hand visible. Another version in all black is truly eye-catching. 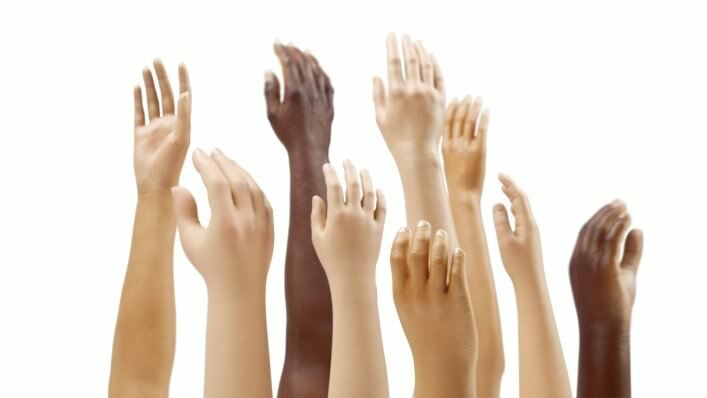 Depending on your hand prosthesis, you can choose from up to 7 hues for the colour of your prosthesis glove. 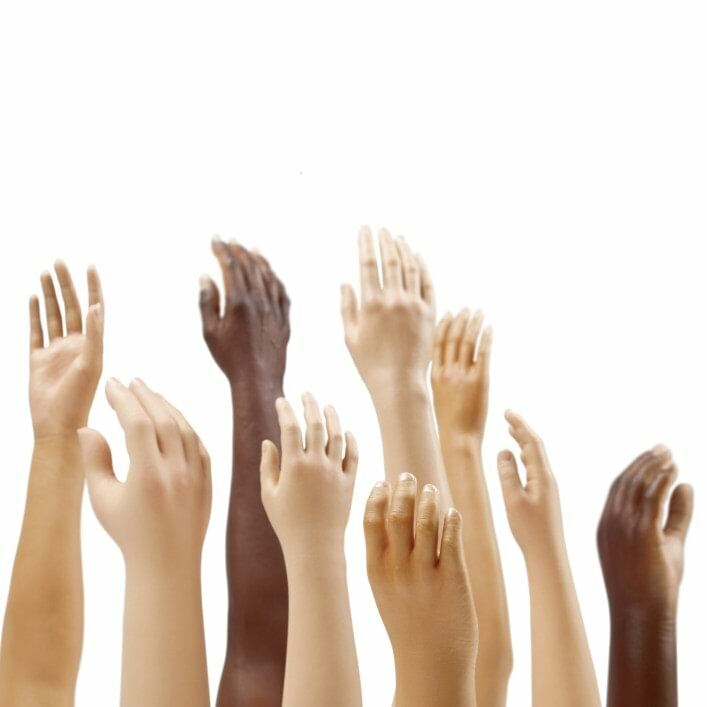 Your orthopaedic technician will advise you in detail with a colour fan to find the best colour for your individual skin type. SkinNatural prosthesis gloves feature a natural appearance. They allow you to enjoy the desired natural and harmonious appearance in everyday life, at work and in your leisure time. At the same time, the gloves protect your prosthesis against dust, dirt and moisture. SkinNatural prosthetic gloves are available for the various types of hand prosthesis. They are offered in up to 7 different hues. MyoSkin Natural: MyoSkin Natural prosthesis gloves were developed especially for myoelectric prostheses. MovoSkin Natural: You can wear these prosthesis gloves if you are fitted with a body-powered prosthesis. 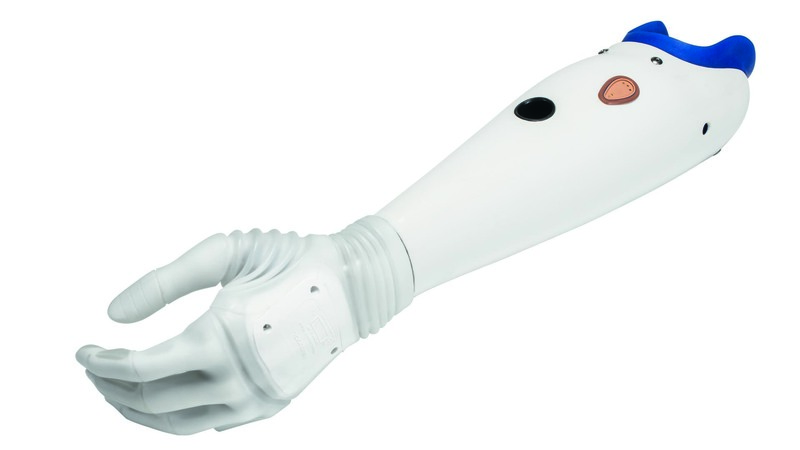 PhysoSkin Natural: Users wearing a passive arm or hand prosthesis can select a prosthesis glove with a convincingly natural and individual appearance. Special AxonSkin prosthesis gloves are available for users fitted with a Michelangelo Hand. AxonSkin Natural: This glove with a particularly natural appearance features hand-drawn details such as veins, knuckles and fingernails that replicate the look and feel of a natural hand. Deceptively real! The PVC material with a multilayer structure is very robust and, thanks to a special surface treatment, insusceptible to dirt. AxonSkin Natural gloves are available in 7 different hues. AxonSkin Visual: The translucent glove shows off the fascinating design of the Michelangelo Hand. Defined zones on the fingertips and palms provide you with a better grip. AxonSkin Black: This unusual prosthetic glove, entirely in black, is a real eye-catcher. Defined zones on the fingertips and palms provide you with a better grip. Take extra care with ballpoint pen ink, printing ink (newspapers, photocopies) and dark, unwashed textiles. The special outer layer of the SkinNatural glove reduces susceptibility to soiling and makes cleaning easier. If daily cleaning with water and soap are insufficient, please use the a special cleaner (640F12). It should be used immediately after soiling. Once pigments have migrated into the PVC, cleaning is no longer possible. What are the advantages of the PVC material? PVC has many advantages: It is highly robust, durable and resistant to tearing. Also, the surface is not sticky and this makes putting on clothing easier. Textiles, fibres, hair and dust do not adhere to the surface. How can I clean the prosthesis glove? Water and soap are normally entirely sufficient. A special cleaner and a pump sprayer are also available in case of more severe contamination. However, you should exercise special caution with ballpoint pen ink, printing ink and dark, unwashed textiles, since this type of contamination can sometimes be difficult to remove. Can I shower with the prosthesis glove? No, there are no standard prosthesis components for showering and swimming; individual adaptations are prepared by your orthopaedic technician. Can I wash my hands with the prosthesis glove? Yes, this is possible provided that the prosthesis glove is intact and the cuff is long enough that no water can get into the prosthesis from the end. This is also why all Ottobock prosthesis gloves have a long cuff that extends to the elbow. How is the colour of the glove determined? Your orthopaedic technician will show you a colour fan with all different nuances. This will allow you to choose the hue that comes closest to your natural colour.